This is the Fresh Cherries(TM) American Automobile (Assembled Diecast Models) of the 1970 Ford Maverick 1/87 HO Scale by Motor Max. Colors May Vary. Retail $4.50 SAVE 16% ! Website security verified by GoDaddy. Great detail, color and price. I use models of outdated cars to date my layout. 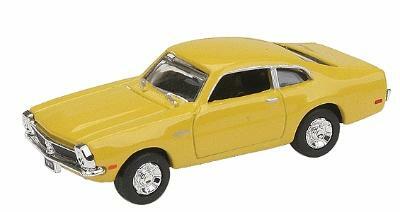 "motor max 1970 Ford Maverick"
These look much better than I expected and they&apos;re the perfect size.